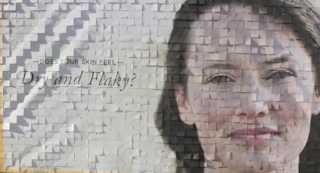 Need a new product to help keep your skin from looking flaky? Burt's Bees figured out a clever way demonstrate the before and after effects of their new Intense Hydration products. This interactive billboard incorporates thousands of coupons for people to take, peeling off one layer of dry skin at a time.